The 17 th of November, a warm and sunny day, was one of the most important days in the history of Concordia since we had the honor of an audience with the Queen at the Zarzuela Palace. After the rigorous controls at the gate our bus passed through a wide, open parkland full of roe deer up to Monte Pardo where the private residence of the monarchs stands. The peaceful atmosphere almost helped to calm our nerves before arriving at the modest, two floor building. At that moment nobody was able to hide anymore how excited we were. Doña Sofia's secretary received us and took us to the hall where the audience would take place. ?Would you please stand here?? he kindly indicated the place. In the meantime dozens of photographers rushed in, obviously eager to take pictures of the Queen of Spain meeting her cousin Princess Marie-Louise of Prussia and the committee of the charity organization she presides. Some minutes later Doña Sofia entered the room in an elegant red suit, high heels to match and a big smile to welcome her guests. She spoke first to her cousin and thanked her for coming, after this she shook hands with each person of the committee. Presents like a beautiful tablecloth that had been embroidered by the mothers of our Concordia patients, the annual report of Concordia and the Concordia Magazine were handed out to her Majesty. ?Let?s take a picture outside on the staircase. It is such a splendid day?, the queen suggested. 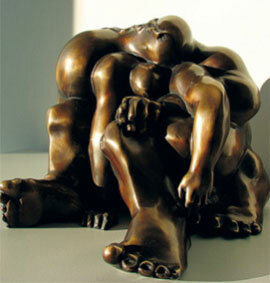 Later she enquired about our work for Concordia, the actual Aids situation and other subjects. -Your Majesty, would you please consider coming to our Gala in Marbella? 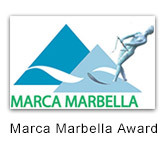 On July 10 the presentation of the Awards Ceremony of the awards I "MARCA MARBELLA" took place at the Palacio de Congresos Adolfo Suarez. The organizer of the Gala was Carlos Latorre, creator and promoter of the idea of these having the support of the City and various local business awards. The initiative to give these awards is a way to publicly acknowledge the work of different people and local authorities have been carrying out for years in different areas, promoting the name of our city. 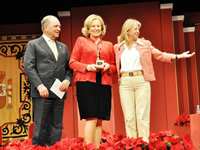 The Concordia Association was honored with this award in the category of social institutions along with three others, among which are: Fundatul, Human Being and Horizon; which was collected by the Center Director Day, Ms Teresa Martín Muñoz. 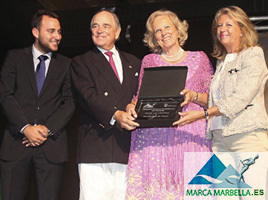 Our President, Princess Marie Louise of Prussia and her husband, Count Rudi were also awarded the prize of honor in gratitude for his more than 50 years working and contributing to the promotion of Marbella. Marbella, May 16 th, 2012. 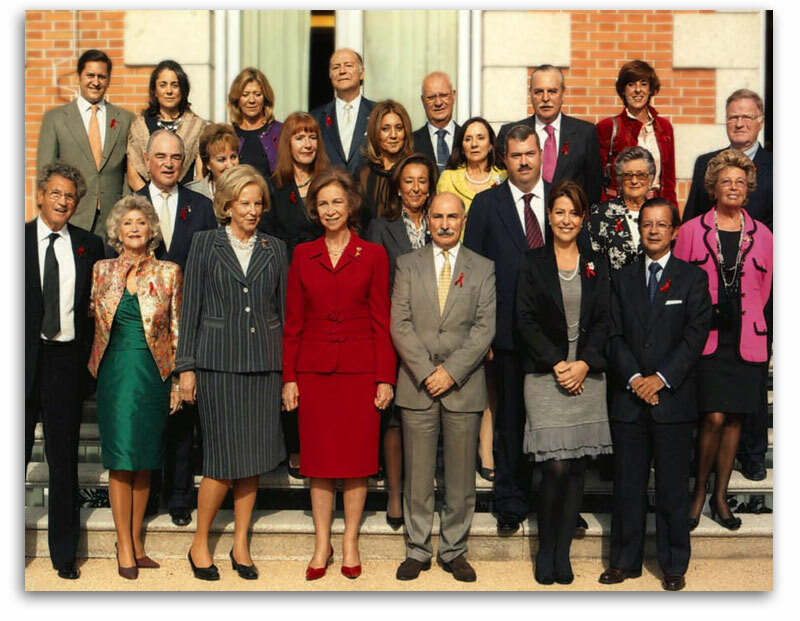 The president of the Concordia Anti-AIDS Association, Princess Marie-Louise of Prussia, has been awarded the European Gold Cross by the Spanish Association of European Promotion ( Agrupación Española de Fomento Europeo AEFE ) in recognition of her enduring commitment to social service in Concordia and previous charity organisations. 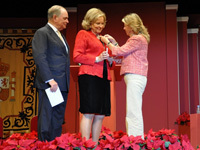 Furthermore, Concordia’s president was granted the title of Distinguished Member of AEFE because of her successful engagement for European unity, on a person-to-person level and without distinction as to country, language, race, religion, believes or ideology, within a democratic frame of tolerance and respect for human rights. 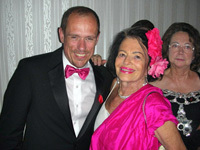 In 2006, we have close ties with an organization like us, has for many years in the fight against AIDS. Amigos is based in Las Palmas de Gran Canaria. 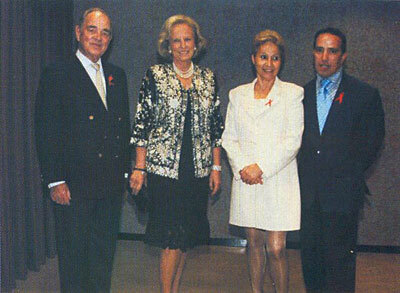 anti-AIDS association in the province of Las Palmas. With precarious means but much effort, carried out his project of prevention and cure, and after contacting us, we promised to help and collaborate on specific issues, if necessary. 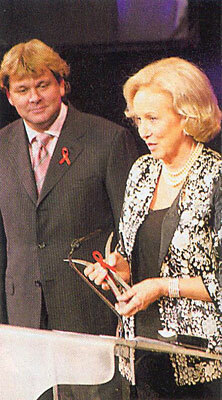 Quite unexpectedly, decided to award the Friends that he was given to Princess Maria Luisa in the course of the VIII GALA OF FRIENDS AGAINST AIDS, which was held at the Palacio de Congresos de Canarias will host on Saturday 25 November 2006. 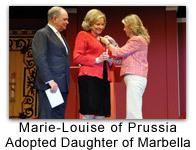 "Finest Service Award 2007" for Princess Marie Louise of Prussia, President of Concordia. 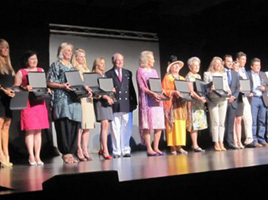 Princess Marie Louise of Prussia, was awarded with a special distinction for her many tireless years of effort given to the charity organisation that helps and assists HIV-infected people and their families on the Costa del Sol. 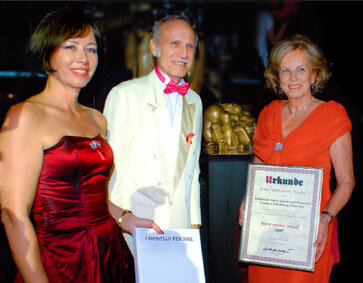 Germany, Marbella) earlier this year, Publisher Ewald Otto Schwarzer and Director International Sales, Gudula Freytag, now presented Princess Marie Louise with the "finest service award 2007“ from "Feine Adressen-Finest” magazines on occasion of this year’s annual charity gala of Concordia. Read complete article. 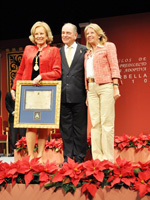 As each year,THE MEDIA CLUB presided by D. LUIS MARÍA ANSÓN celebrated its Anniversary Gala at the Ritz Hotel in Madrid. The event started off with a cocktail at the Felipe IV Ballroom followed by the presentation of the Perséfone awards and dinner at the Salon Real, the hotel´s main ballroom. CARLOS PEÑALOZA and ALEJANDRA NAVAS, the great professionals of radio and television hosted the event. 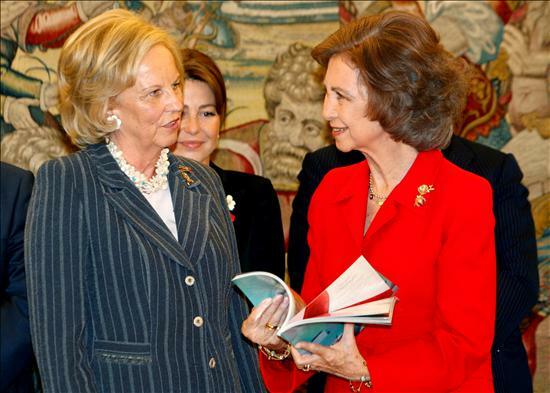 In the area of social welfare, Concordia The Anti Aids Association, presided by Maria Luisa ,Princess of Prussia. FATHER ANGEL,President and Founders of Messengers of Peace, presented the award. 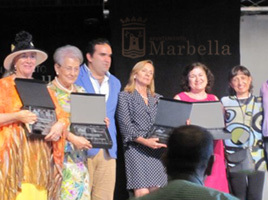 The CITY OF MARBELLA,represented by Count Rudi Schönburg, also received an award. Count Rudi Schönberg is presented the award by Javier López ,President of Credit Services. "When I was 14, I was told by one of my aunts, who could read the lines of the palm: "Girl, you will have much luck in life! Now I know my luck has been Marbella." With these words, our beloved President responded to the Award of "Adopted Daughter of Marbella", the city of her main residence for the last 40 years. Here she joined the love of her life, Count Rudolf von Schönburg-Glauchau; here were born their two children, Sophie and Fritzi, and here she became profoundly involved, in common cause with others, in helping the underprivileged. "If you are the recipient of so much love, so much luck, you just have to give something back," she manifests, with great conviction. A demonstration of the education received at an early age. 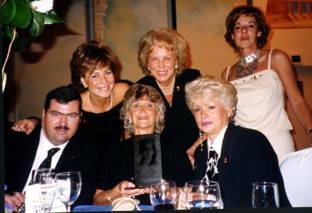 1994, having spent 20 years of her life working for UNICEF Marbella, she met the then and current person in charge of, indeed the soul of, the local Anti-AIDS Association, Chelo Más, whose work made a deep impression on her. There was such public repulsion to the disease and so much misery caused by it, that she could not refuse the entreaties to put her good name and much more than that, at the service of Concordia. Looking back over these past 16 years, Marie-Louise of Prussia knows that this period of time has been one of the most important of her life, despite countless impediments suffered; lack of social conscientiousness and the endless struggles for the sake of those affected by AIDS. The efforts have paid off and continue to do so. 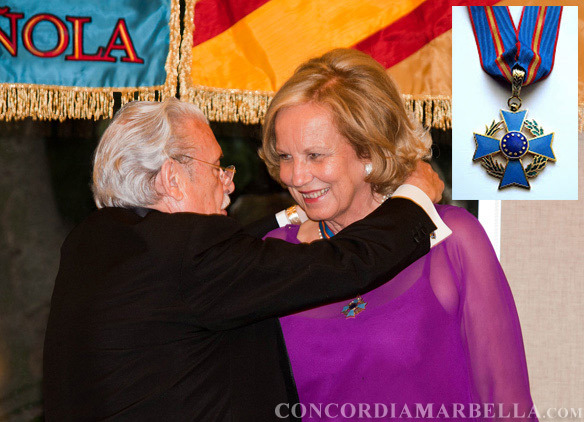 "I will be a good daughter of this city," she promised the Mayor and all those who witnessed the solemn ceremony in the theatre of Marbella. But it is already more than proven: Her life is to serve. 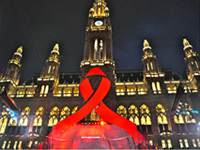 On 17th July Vienna's famous Life Ball took place. 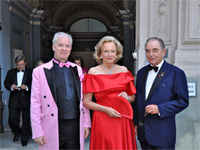 Organized by Gery Keszlersince 1992, this high profile ball, which counts on support from the likesof Liza Minelli, Elton John, Sharon Stone, Pamela Anderson and Eva Longoria,raises much-needed funds for the organization of LIFE AIDS. 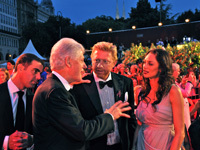 A-listers WhoopiGoldberg and Bill Clinton attended the event in 2010. This year S.A.R. Princess Maria Luisa of Prussia and other invited guestshad the pleasure and honour of attending this wonderful celebration, at therequest if Mr. Keszler, who generously gave Concordia another box at thetheatre to sell. This made a total of 10 boxes, which were sold by PrincessMarie Lousie for 6,000 euros between May and mid-July, raising a staggering60,000 euros for Concordia. This incredible sum was presented at the Concordia Summer Gala, held on July24 and attended, as in the previous year by Mr. Keszler.